Raw Milk is not always easy to find especially in North Carolina. I remember having a very hard time finding it when I first started looking. It wasn’t openly discussed. Farmers are nervous about advertising it sometimes. And some farmers aren’t, thankfully. 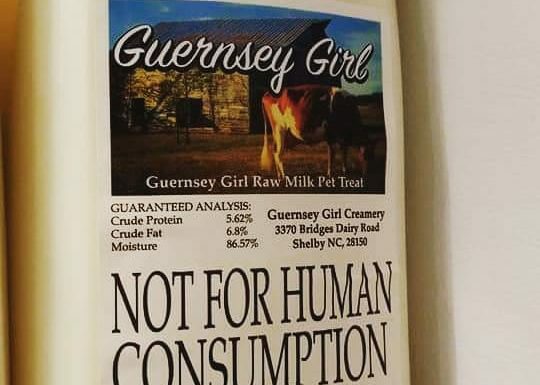 Farmers in North Carolina have to sell it for Pet Consumption Only. Here are a few farms in my area that openly sell it. I found the info on their Facebook pages where anyone can find it. The reason I’m posting this today is that I had someone contact me today asking if I knew where they might be able to buy some raw milk whether it be goat milk or cow milk. And I wanted to post it somewhere so that more people could hopefully come across this info. I’m listing the few farms that I know of down below. If you know of a place that is not on this list. Please post them in the comments. It would greatly help spread the word. Most of these farms offer more than just milk. You can contact them directly to find out what other products they may have. Again, all the farms listed below sell their milk for PET CONSUMPTION ONLY. The goats are certified Animal Welfare Approved and on pasture (grass-fed) 24/7. They are fed grain on the milk stand and this grain is mostly locally grown and contains no corn, soy or to her knowledge, GMO-feed. The hay they eat is organic. She doesn’t bottle feed her kids preferring to leave them on their mothers as nature intended so milk is only available by scheduling a few days in advance. Previous Post: Christmas Sale in November!